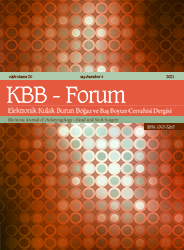 2Rize Devlet Hastanesi, Kulak Burun Boğaz, Rize, Türkiye Aim: To investigate the relationship between Rh antigen and ABO blood group in patients with pediatric bilateral sensorineural hearing loss. Material and methods: A retrospective study has been conducted at our institute to analyse 236 patients with pediatric bilateral sensorineural hearing loss. . The distribution of patients was analyzed according to ABO blood group and Rh antigen. Control group consisted of healthy individuals of Turkish society. The scores of both groups were statistically compared. Results: A total of 236 patients included in the study were 133 male and 103 female. The ages range from 6 months to 216 months and average 39 months. A Rh + blood group was highest in both the study group and the control group. There was no statistically significant difference between blood group and Rh antigens in the study group and control group (p> 0.05).